Every company shall prepare a return (hereinafter referred to as the annual return) in the prescribed form containing the particulars as they stood on the close of the financial year. If Financial of Company started before 01.04.2014 then Annual Statement will file in e-form 23AC, 23ACA for this financial year instead of AOC-4. 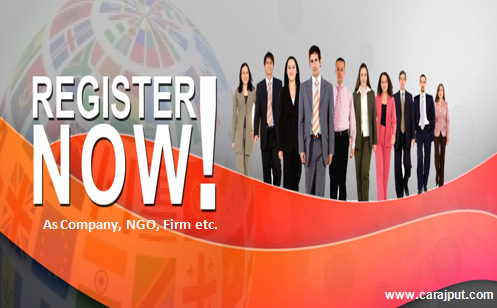 Further there is no Need of Professional Certification in e-form MGT-7 of Small Company and One Person Company. E-FORM: ANNUAL RETURN, MGT-7 SECTION 92 : Every Small Company will file its Annual Return within 60 days of holding of Annual General Meeting. Annual Return will be for the period1st April to31st March. The Attachments shall be a. List of shareholders & Debenture Holders and if any b. Approval letter for extension of AGM &c. Copy of MGT-8(The annual return, filed by a listed company or a company having paid-up share capital of ten crore rupees or more or turnover of fifty crore rupees or more, shall be certified by a Company Secretary in practice and the certificate shall be in Form No. MGT.8.) . Related section & Rules are Section 92(1) of the Companies Act, 2013 and rule 11(1) of the Companies (Management and Administration) Rules, 2014. Attachment: Extract of Annual Return, MGT – 9: Independent Form with numerous details of working details. A check list be prepared to fill. This form shall be an attachment to AOC -4 above. 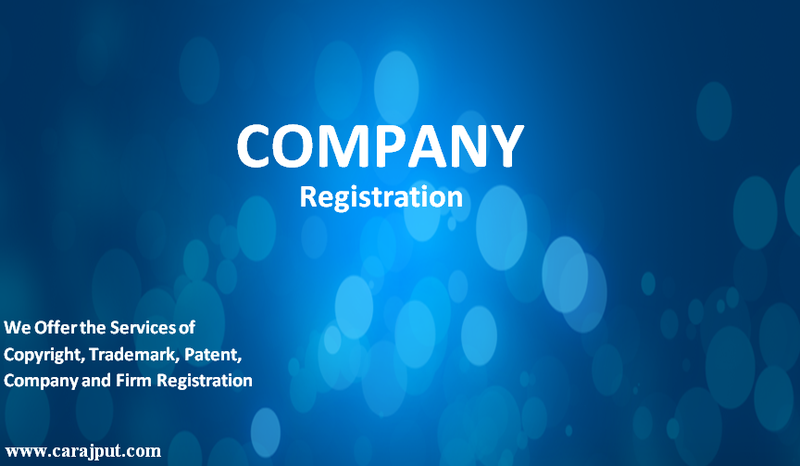 The said form carried a point number II on principle business activity of Company for mentioning NIC code or the product or services. . Details of such codes are provided in the Instruction Kit of MGT-7. Annexure C titled as Business Activity Code List. Attachment : If Co having Any Subsidiary/ Associate/ Joint Venture Co – AOC-1As per provisions of Section 129(3) read with Rule 5 every company which have any subsidiary/Associate/Joint Venture Company required to attach AOC-1 along with AOC-4. As per provisions of Section 134 of the Act and Rule 8(2) of the Companies (Accounts) Rules, 2014.This is in Pursuant to clause (h) of sub-section (3) of section 134. This is a form for Disclosure of particulars of contracts/arrangements entered into by the company with related parties referred to in sub section (1) of section 188 of the Companies Act, 2013 including certain arms length transaction under third proviso thereto. PENALTIES RELATED TO ANNUAL FILLING. SEC 92 (6): DEFAULT IN CERTIFYING ANNUAL RETURN BY THE PCS : If a company secretary in practice certifies the annual return otherwise than in conformity with the requirements of this section or the rules made there under, he shall be punishable with a fine which shall not be less than Rs. 50,000/- but which may extend to Rs. 500,000. Percentage of shares by Directors. Details, as may be prescribed, in respect of shares held by or on behalf of the Foreign Institutional Investors indicating their names, addresses, countries of incorporation, registration and percentage of shareholding held by them. MCA has extended the last date of filing of forms MGT-7 (Annual Return) and AOC-4 (Financial Statement) upto 31/10/2015, as electronic versions of Forms AOC-4, AOC-4 XBRL and MGT-7 shall be made available for filing latest by 30th September 2015. In addition, AOC-4 CFS will be made available latest by October 2015, hence, a company, which is required to file its Consolidated Financial Statement, would be able to do so without any additional fees upto 30/11/2015. All Regional Directors, All Registrar of Companies, All Stakeholders. Subject: Relaxation of additional fees and extension of last date of in filing of forms MGT-7 (Annual Return) and AOC-4 (Financial Statement) under the Companies Act, 2013-reg. This Ministry has clarified vide General Circular 8/2014 dated 04/04/2014 that provisions of the Companies Act, 2013 relating to financial statements, auditors report and board’s report shall apply in respect of financial years commencing on or after 1st April, 2014. Form AOC-4 or Form AOC-4 XBRL (Format of filing of financial statement) shall, as applicable, have to be used for filing of such statement for financial years commencing on or after 1st April, 2014. Attention is also invited to this Ministry’s General Circular 22/2014 dated 25/06/2014 wherein it has been clarified that MGT-7 (Form of Annual Return) shall apply to annual returns in respect of financial years ending after 1st April, 2014. CFS will be made available latest by October 2015. MGT-7 has been notified while AOC-4, AOC-4 XBRL and AOC-4 CFS will be notified shortly. 5. XBRL and Form MGT-7 upto 31/10/2015. Further, a company which is not required to file its financial statement in XBRL format and is required to file its CFS would be able to do so in the separate form for CFS without any additional fees upto 30/11/2015. Who shall be authorized to convene Board meeting on request of directors. Who shall be authorized to sign and issue notices for convening Board meetings. Who shall be authorized to receive communications from Directors regarding participation through electronic mode. Who shall be authorized to facilitate inspection of attendance register, minutes book, supporting papers to agenda etc. Who shall authenticate entries in attendance register. Who shall have custody of Attendance register, minutes book etc. Who shall make recording/entry of minutes. Who can issue certified true copies of resolutions/extract of minutes. Decide policy regarding numbering of Board meetings – whether to start from date of incorporation or 01.07.2015. Further the Board may also decide policy regarding numbering of each agenda items. Board may decide and add the list of business which cannot be taken up through video conferencing. If Company opts for holding meetings through video conferencing – decide, if VC infrastructure to be arrange in-house or from vendor. Further also make necessary arrangements for maintaining data privacy/secrecy. The Board may approve the standard templates for agenda notes including layout covering background, main body, financial implication of the proposal, nature of concern/interest, Resolution, if any proposed to be passed, Annexure etc. The Board may further lay down internal systems for preparation/drafting, initiating authority, concurring authority and approving authority. The Board may decide tentative meeting calendar for a year to facilitate the board members to plan in advance. The Board may approve term of reference/charter document for each committee to inter-alia provide for scope of working, committee members, Chairperson, meeting frequency, tenure of committee, quorum etc. The Board may define policy as to who can be invitee to Board meetings and appropriate authority for inviting him to particular meeting. The Board may also decide permanent invitees to the Board meetings. The Board may approve the policy for preservation and destruction of attendance register and supporting documents of agenda notes. If AOA does not provide for Chairman of the Company, the Board may elect Chairman among themselves. The Board may prepare and approve standard manual for conduct of meetings to avoid conflicts. The Board may decide regarding maintenance of minutes in physical or in electronic form and if maintained in physical form, the stationery on which minutes to be printed may also be approved. If maintained in electronic form, the Board shall approve system in which minutes shall be stored, manner of signing with time stamp, backup, access, inspection etc. Further the Board to also approve regarding the deviations made from the approved policy for maintenance of minute book. The Board may approve the logical manner in which name of Board members to be recorded in Minutes book. The Board may approve the organizational hierarchy to facilitate identification of persons one level below KMP. The Board may identify and prescribe the additional contents to be included in minutes. Appointment of scrutinizer for e-voting/ballot process. Fixation of cut-off date for the purpose of reckoning the names of Members who are entitled to Voting rights. Authorise the Chairman or in his absence, any other Director to receive the scrutiniser’s register, report on e-voting and other related papers with requisite details. Custody of scrutinisers’ register, report and other related papers. appoint one scrutiniser for the postal ballot. appoint an Agency in respect of e-voting for the postal ballot. decide the record date for reckoning Voting Rights and ascertaining those Members to whom the Notice and postal ballot forms shall be sent. decide on the calendar of events. authorise the Chairman or in his absence, any other Director to receive the scrutiniser’s register, report on postal ballot and other related papers with requisite details. Preferred mode of dispatch of notice, agenda, circular resolutions, draft minutes, signed minutes and other communications. Address for dispatch of notice, agenda, circular resolutions, draft minutes, signed minutes and other communicationsc. Email id for sending documents/communications. Secretarial department may consider maintenance of separate Inward/dispatch/delivery register to facilitate easy maintenance of records and their retrieval. Necessary checks may be made from time to time to ensure presence of director at least once in 12 months, so he does not vacate in terms of the provisions of section 167 of the Act. The Company may prepare index of agenda of all meetings to facilitate easy retrieval of past decisions/resolutions. The company to create/hire e-mail system which produces confirmation of the total number of recipients e-mailed and a record of each recipient to whom the Notice has been sent. Updation of website of the Company to include general meeting notices, postal ballot notices, route map and landmark of venue of general meeting. Prepare explanation for absence of respective director at general meetings. Arranging exemption to Statutory Auditor/Secretarial Auditor, if not attending general meetings. Prepare General meeting script for facilitation of conduct of meeting by Chairman and explaining objective and implication of each resolution, reading of comments, qualifications, adverse remarks of Statutory Auditors/Secretarial Auditors. AOA may be amended to define authority for convening of Board meeting. In absence of specific provision in AOA, all directors shall have authority to convene Board meeting. AOA may be amended to provide length of notice of Board meeting/Agenda for more than 7 days. Articles may be amended to provide desired number of minimum number of directors, without which the Company cannot function. AOA may provide for Chairman of the Company. AOA may be altered to restrict second/casting vote of Chairman. AOA of private Companies may make the provisions of section 101 to 107 & 109 inapplicable and provide corresponding clause as suitable to them viz. convening of general meeting with notice lesser than 21 days. AOA may provide specific proxy form for general meeting. The Ministry of Corporate Affairs, Government of India issued the final notifications under Section 462 of the Companies Act, 2013 (Act), which provide exemptions under various provisions of the Act to (i) Private Companies; (ii) Government Companies; (iii) Section 8 Companies and (iv) Nidhis. For Private Companies, the exemptions relax the provisions for entering into related party transactions; provide a shorter period for offering securities to members through right offers; provide for approving issue of employee stock option plans through a simple majority and allow an easier procedure and flexibility in holding general meetings. Private companies have also been allowed to accept deposits from members without the requirement of offer circular and creation of deposit repayment reserve etc. Flexibility has also been provided in the types of share capital that can be issued by private companies. Exemption has been given from filing of board resolutions with the registry and giving of notice for standing for directorships. Requirement of mandatory consent of shareholders with regard to certain transactions relating to sale of undertaking, investments, borrowings etc has been omitted. Further, OPCs, dormant companies, small companies and private companies having paid up share capital less than Rs. 100 crore have been excluded for calculating the limit of 20 companies for audit by an auditor. Private companies not having any investment by anybody corporate have been allowed to extend loans to directors etc subject to certain conditions relating to bank borrowings and default thereof. An interested director of a private company can now participate in the Board meeting after declaring his interest. Government Companies have been exempted from the limits pertaining to managerial remuneration; restriction on maximum number of directorships and disqualification of directors in certain cases. The provisions in respect of Nomination and Remuneration Committee have also been relaxed in respect of their applicability to directors/managerial persons. The provisions relating to loans to directors; loans and investments by companies and related party transactions have been modified to provide flexibility to Government companies in complying with such provisions. 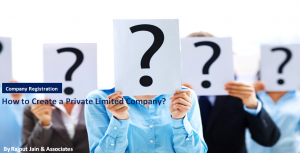 The exemption for Government companies to retain the suffix “Limited” even if incorporated as private limited company has been continued as per the exemption available under Companies Act, 1956. Modifications in the provisions relating to place of holding general meetings have also been made. Provisions in respect of rotation of directors and right of persons to stand for directorship are exempted for wholly owned Government companies. The provisions in respect of forming opinion about integrity, expertise/experience of independent directors have been modified to provide flexibility to concerned Ministry/Department. For the Government companies engaged in producing defence equipment, the provisions of section 186 (loans and investments by companies) and Accounting Standard – 17 (Segment Reporting) shall not be applicable. For Charitable Companies the provisions in respect of notice for general meeting have been modified to enable such companies to save time and resources in sending notices. The notice for general meeting and financial statements may be circulated at notice of 14 days instead of 21 days. The provisions in respect of appointment of independent directors (IDs) and Nomination and Remuneration Committee will not be applicable to such companies. The audit committees of such companies need not have Independent Directors. The restrictions on number of directorships have also been exempted for these companies. These companies are allowed to hold board meetings once in six months instead of four meetings in a year, as prescribed for other companies. These companies have been exempted from provisions requiring notice to be given for standing for directorship if their articles provide for election of directors by ballot. Flexibility from the provisions on passing of board resolutions in a board meeting only and on disclosure and participation in board meetings by an interested director have also been provided. In case of Nidhis, provisions relating to serving of documents to members and payment of dividend have been modified to provide more flexibility to such companies. Provisions relating to private placement have been partially relaxed for such companies. These companies have also been exempted from the requirements of section 62 which relates to further issue of share capital. The notice amount of Rs. 1 lakh provided under section 160 has been reduced to Rs. 10,000 for these companies. Provisions of section 185 in respect of loans to directors have been relaxed for these companies with the condition that loan is given to a director or his relative in his capacity as member and the disclosure is made in the accounts. A new focus area for members during the current audit season would be Frauds. Section 143(12) of the Companies Act, 1956 outlines the following responsibility on the Auditors:- “Notwithstanding anything contained in this section, if an auditor of a company, in the course of the performance of his duties as auditor, has reason to believe that an offence involving fraud his being or has been committed against the company by officers or employees of the company, he shall immediately report the matter to the Central Government within such time and in such manner as maybe prescribed.? (Prescribed under Rule 13 of the Companies (Audit and Auditors) Rules, 2014). To help members understand the reporting requirement of such frauds and their responsibilities, ICAI has issued a?Guidance Note on Reporting on Fraud under section 143(12) of the Companies Act, 2013″. Responsibilities are limited to frauds which are undetected by the Management and which are committed by the employees or officers of the Company. Accordingly, only reports identified by the Auditors requires reporting to the Central Government. Third party frauds (vendors / Customers) are not covered by the reporting responsibility. If any such fraud is noticed by the auditor during the course of his audit then the auditor has to immediately report to the Central Government within 60 days. An Auditor has to consider the requirements of SAs to assess risk of fraud (SA 240). Reporting is applicable only when an auditor has evidence that fraud exists. Auditors appointed under other statues like Tax Auditors, VAT Auditors are not covered under Section 143(12) for fraud reporting. Internal Auditors are also not covered under Section 143(12) for fraud reporting. Branch auditors are however responsible to report under Section 143(12) for frauds. The GN requires “material” frauds to be reported in terms of Section 143(12) in the Audit Report. Auditor to forward his report to the Board of Directors / Audit committee, immediately after he comes to know of the fraud, seeking their reply or observations within 45 days. On receipt of such reply / observations auditor to forward his report and such reply / observation along with his comments to CG within 15 days. In case the auditor fails to get any reply / observations from the Board / Audit committee within 45 days, he shall forward his report to the CG along with a note containing details of his report that was earlier forwarded to the Board / Audit Committee of which he failed to receive any reply within the stipulated time. The report shall be sent to the Secretary, MCA in a sealed cover by Registered Post AD or by Speed Post followed by an e-mail in confirmation of the same. The report shall be on the letter head of auditor containing postal and email address with his sign, seal and membership number. The report shall be in the form as specified in Form ADT – 4. Prior to the changes, auditors needed to comment on frauds on or by the company which were noticed during the year, as part of the reporting as per the Companies (Auditor’s Report) Order, 2003 in the auditor’s report. The scope of reporting is now different. Earlier, the reporting was to be done annually being part of the auditors’ report. However, under the Companies Act, 2013 it is a real-time responsibility since reporting needs to be done 60 days from the time the auditor becomes aware of the fraud or suspected fraud. On June 5, 2015, The Ministry of Corporate Affairs (MCA) issued a notification under section 462 of The Companies Act 2013 for exempting private companies from many compliances. The private companies in India have already been subjected to unprecedented compliances required under the Companies Act, 2013 (the “Act”). Ever since July 2014 when the draft of an exempting notification was placed before the Parliament, the corporate sector in the country, primarily the small and medium companies, and the thousands of foreign-owned or controlled companies which are mostly private companies, have been anxiously waiting for this notification. One of the major relaxations for private companies is the exemption from filing board resolutions under section 179(3) of the Act. This section requires companies to file some 14 items of board resolutions with the Registrar of Companies in a form called MGT 14, has completely been exempted in case of private companies, by snapping the connection between section 117(3)(g) and section 179(3). Therefore, private companies will now need to file only MGT 14 in case of special resolutions. In terms of compliance burden, this is a major relief. Note, however, that section 179(3) itself has not been exempted. That is, wherever there is a matter being one of the items listed in this sub-section, the resolution of the board will still be required but filing of MGT 14 for board resolution is no more required. Another exemption relates to section 184(2). This section provides that the directors of a private company must refrain from participating in a board meeting where a matter in which they are interested is to be discussed. This is causing practical hardship in case of private companies, which actually do not have any independent directors, and therefore it is not expected that there will be any director who is uninterested in the matter. The notification provides that an interested director may participate only after disclosure of such person’s interest. However, curiously, one of the most burdensome disclosures in case of private companies – disclosures by all directors about their shareholdings, and every time there is a change therein – still remains intact [section 184 (1)]. This relaxation brings us back to the position as under section 293 of the Companies Act, 1956 (the “Act 1956”). That is to say, the exercise of borrowing powers by private companies will not necessitate any special resolution. Section 185 is serving as a major hurdle for banking transactions, particularly for guarantees and collaterals. This is one provision where banks themselves are greatly concerned as they are finding it increasingly difficult to seek guarantees and collaterals from related entities. There is no pending default in repayment of such borrowings by the lending company. It is worthwhile to note that the limit on borrowings includes borrowings by way of inter-corporate deposits as well, thereby effectively serving as a limit on the debt-to-equity ratio. Also the fact that the private company should not have a corporate shareholder makes the exemption largely meaningless, since inter-corporate shareholdings are a preponderant reality of the corporate world. Moreover, what malaise is this limitation seeking is redress is far from clear. These futile limitations in granting exemptions puts a big question mark on the philosophy of the new Act in extending all provisions to all companies, and keeping carve-outs to a power of administrative notification. Section 67 of the Act prohibits the purchase of a company’s own shares, or the providing of loans against its own shares. There are, actually, 3 related sections – section 66 prescribing the process of reduction of capital, section 67 prohibiting a company from buyback of its shares unless section 66 is complied with, and from lending against its own shares, and section 68 laying down the conditions and process of buy back of shares. Borrowing from banks, financial institutions or body corporates is less than double of its paid up capital of Rs. 50 crore, whichever is lower. The above qualifying private company should not have defaulted in repayment of borrowings as may exist on the date of the transaction under the section. Interestingly, there is no exemption either from section 66 or section 68. This implies that the exemption is only one for lending against shares. If the idea of the exemption was to relax the conditions for buy back of shares, there would have been exemption from section 68 or section 66 as well. It does not sound reasonable that a limited liability company would have been let free to buy its shares without any restraint at all. Until March 30, 2015, there was a lot of debate on whether deposits taken by private companies from its members taken under the Act 1956, that is, before April 1, 2014 also had to comply with the strict provisions of new Act and hence requiring compliance with filing and repayment pursuant to section 74 and its allied rules. MCA vide the General Circular 05/2015 dated March 30, 2015 granted to private companies relief from this compliance clarifying that such amounts taken from directors/directors’ relatives and members under the provisions of the Act 1956 will not constitute deposit under the new Act. The proposed exemption to private companies for accepting loans/deposits from their shareholders, up to a limit of 100% of net worth, had found its place in the final text and is also now a part of the final notification. It is notable that shareholders’ loans in case of private companies were fully exempted from the purview of deposit restrictions under the Act 1956. The Deposit Rules under the new Act brought that restriction, purportedly owing to deposit scams in the Eastern region. As it stands in the final text of the notification, a private company may accept deposits from its shareholders, up to a limit of 100% of its net worth. This is, of course, subject to a filing requirement. Note that a violation of sections 73 and 74 attracts major penal consequences, with imprisonment up to 7 years and a fine up to Rs. 10 crores. The offence is non-compoundable. The limit of 20 on company audits will now exclude all one person companies, dormant companies, small companies, and private companies having a paid up share capital of less than Rs. 100 crores. In the draft notification, private companies were completely excluded from the limit. Provisions of section 160 shall not apply in case of private companies. Similar was the position under section 257 of the Act 1956. There was no specific exemption to a private company under section 263 in the Act 1956. However, seemingly the lawmakers thought this to be a very vital provision of concern to private companies and have therefore removed private companies from the ambit of section 162. One of the special features of general meeting approval in case of RPTs is that the resolution has to be approved by a vote of the minority only. Related parties are not allowed to vote on such resolution. This provision has been taken off in case of private companies. 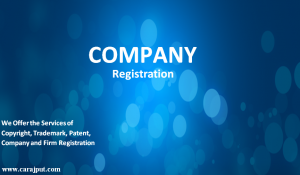 It is most commonplace in case of private companies to enter into RPTs. Private companies cannot be dealing with parties at arms-length, as it is sheer commonsense to say that private companies deal with parties close to them, rather than those who are unrelated. Most transactions by or between private companies will still come within the ambit of section 188 since most of these transactions are covered by the “common director” or “common shareholder” clause of section 2(76), and not by holding-subsidiary or investor-associate relationships. Once a transaction comes under section 188, it will require board and general meeting approval, if the transaction size, thresholds are crossed. RPTs may come under the section due to the relative contract value. Hence, most RPTs will require prior general meeting resolution. The only saver is that in such a general meeting, even related parties may vote. Thus, getting the sanction of the general meeting may not be a problem, but the section will remain a compliance burden on private companies. Unless the memorandum of association (“MoA”) or articles of association (“AoA”) of private companies provides for it, the same shall not be applicable. Alternatively, where the MoA/AoA of a private company provides exemption from the same, it shall not be applicable. Provisions with regard to time period of offer in case of rights issue are exempted for private companies. Provided that notwithstanding anything contained in this sub-clause and sub-section (2) of this section, in case ninety per cent, of the members of a private company have given their consent in writing or in electronic mode, the periods lesser than those specified in the said sub­ clause or sub-section shall apply. Requirement of sending the notice 3 days prior to opening of the issue by way of specified means under rights issue is now exempted. Shall apply except that instead of special resolution, ordinary resolution would be required. To employees under a scheme of employees’ stock option, subject to special resolution passed by company and subject to such conditions as may be prescribed. In clause (b), for the words “special resolution”, the words “ordinary resolution” shall be substituted. Notice of meeting, Statement to be annexed to notice, Quorum for meetings, Chairman of meetings, Proxies, Restriction on voting rights, Voting by show of hands & Demand for poll. Unless a section specifically requires or it is provided in the articles of a private company, the provisions with respect to general meetings shall not apply. Provisions with respect to approval of terms and conditions of appointment including remuneration of managerial personnel and validity of actions done by them where appointment is not in accordance with the provisions of the said section, is not applicable to private companies. On the basis of above, we can say that a starting has been made by way of the exempting notification and by the Companies (Amendment) Act 2015 now all eyes are on the Committee, which is to review the implementation of the Act. The content of this article is intended to provide a general guide to the subject matter. Specialist advice should be sought about your specific circumstances; Hope the information will assist you in your Professional endeavors. For query or help, contact:-info@carajput.com or call at 9555555480.